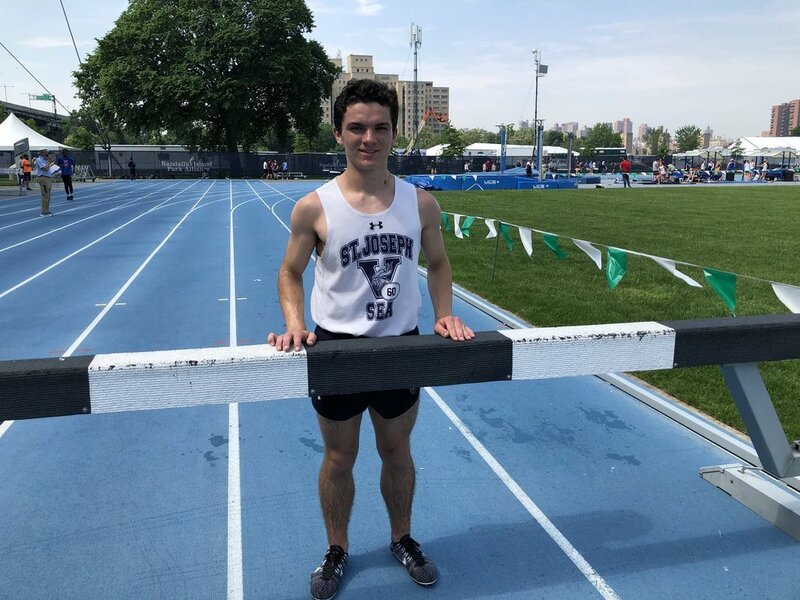 Michael Kieran got things kicked off with his first sub 10 minute performance in the 3000 steeple, #2 ALL-TIME, 9:58.57 FAT. Kieran would place 2nd in the event and earn the silver medal. 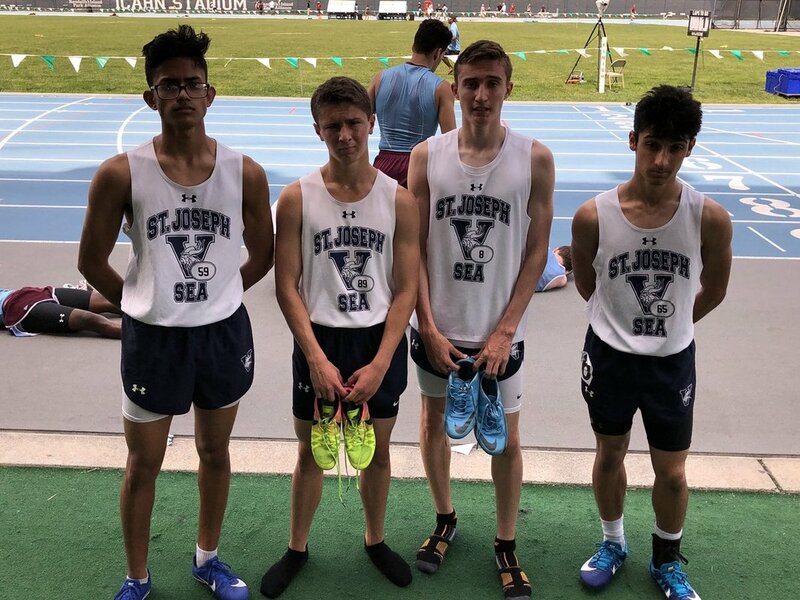 In the 4x400 trials the foursome of Ken Dias, Hudson Scanni, Jason Marchese and Nick Masters turned heads with Sea's first qualification for the Catholic State 4x400 finals in a seasonal best time of 3:27.95 FAT. 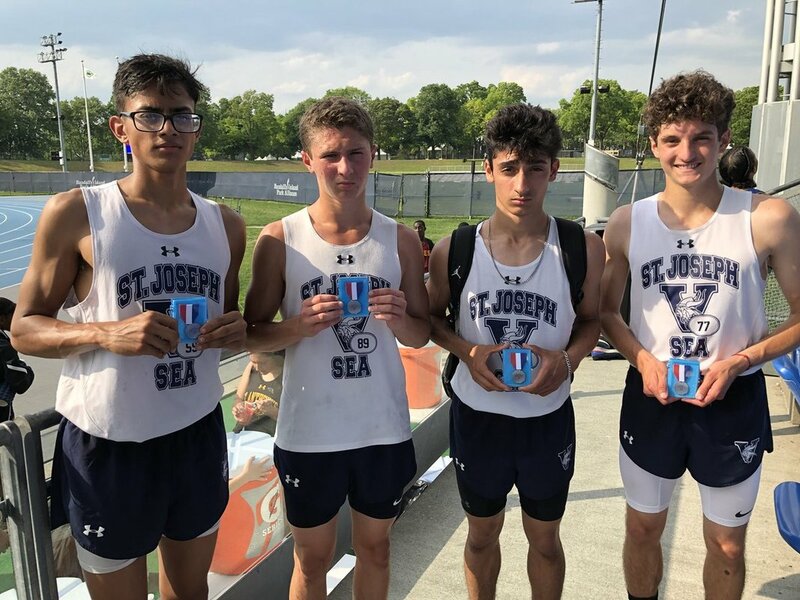 In the finals, Steven Anzalone would replace Marchese and his big anchor leg PR of 51.2 moved the team from 4th to 2nd place earning the team the silver medals. Earlier in the day Vincent Masters became unofficially the 4th freshmen to break 5 minutes for Sea in the last 10 years. Alarcon 27.21 FAT Dybas 34'-3.5"
3. Hayes 25 pts 4x400 "C"